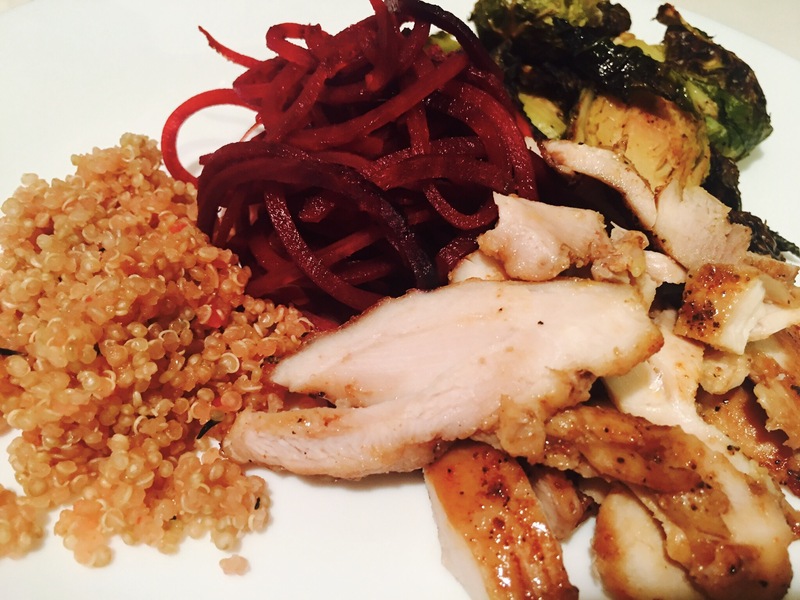 Spiralized beets with spicy chicken thighs, quinoa and brussel sprouts. – Hurried Home Chef! 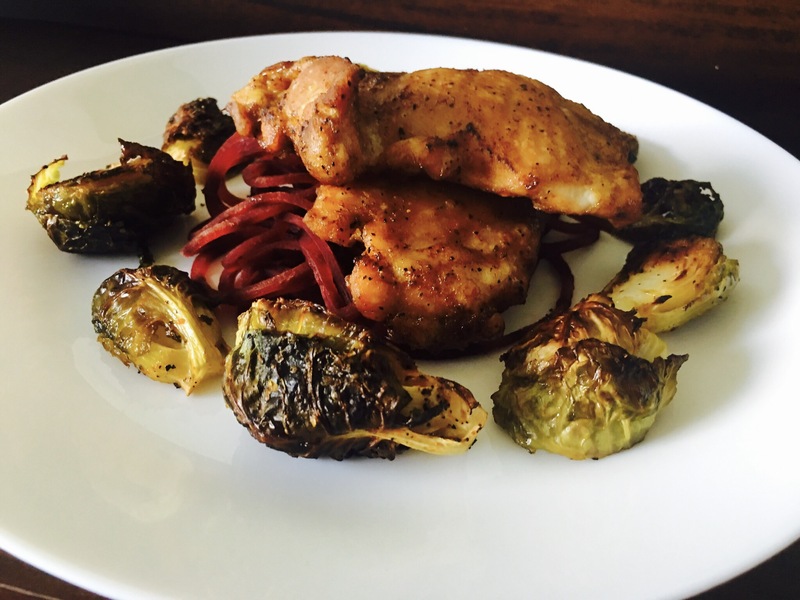 Spiralized beets with spicy chicken thighs, quinoa and brussel sprouts. Having friends over for dinner is fun but can be stressful if you don’t enjoy cooking. Depending on the crowd, I will do either a coursed meal, or a one dish meal. Today I made two courses and if you need dessert, take help from the store or get some fruit. 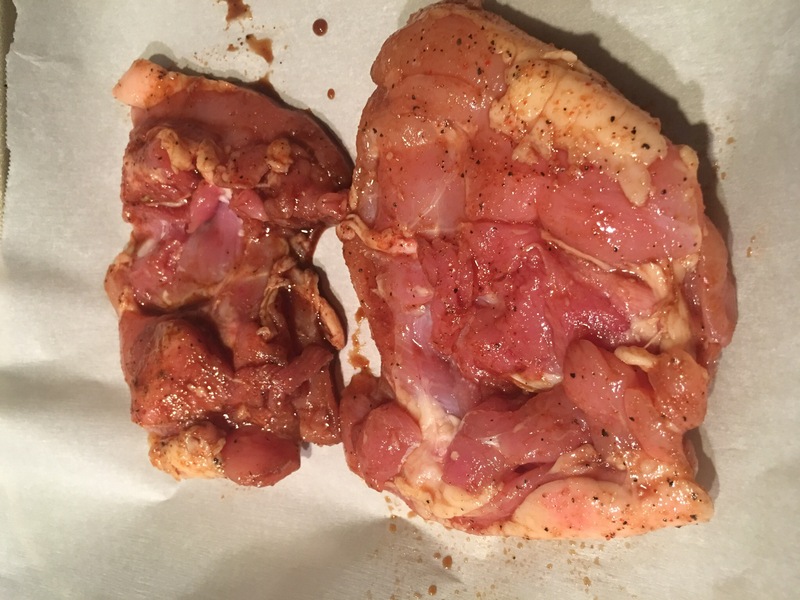 First, I season some chicken thighs, trim some of the fat off, and I wash it with apple cider vinegar then pat dry. Using himalayan sea salt, black pepper, ground habanero pepper, worcestershire, and soy sauce. Bake that on a parchment lined cookie sheet at 350 for about 30 minutes, you can flip it after about 20 but you don’t have to. Meanwhile, I chop some veg. 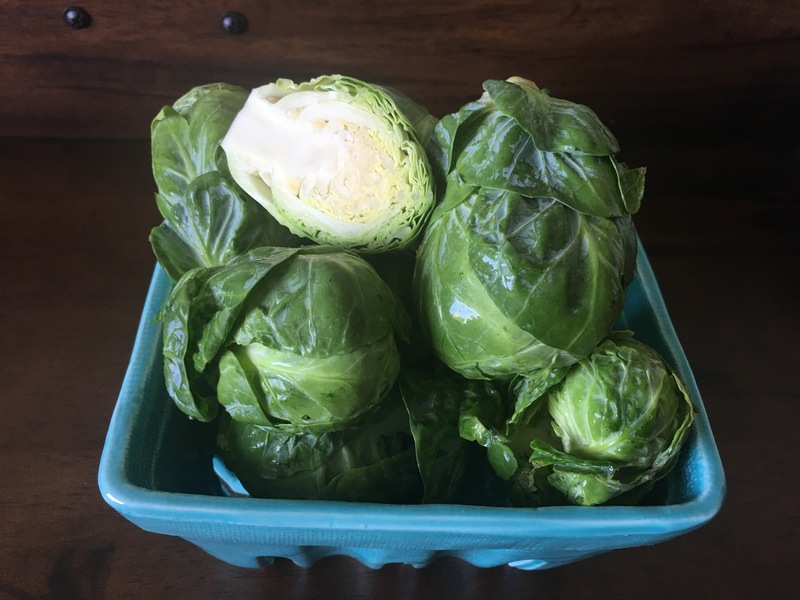 I’m still into the brussels, I cut them in half, season with s, p, EVOO, and ground hot pepper. These can go in at the same time as the chicken but will take a bit longer. I then put some quinoa on the stove, it’s a basic 2:1 ratio. 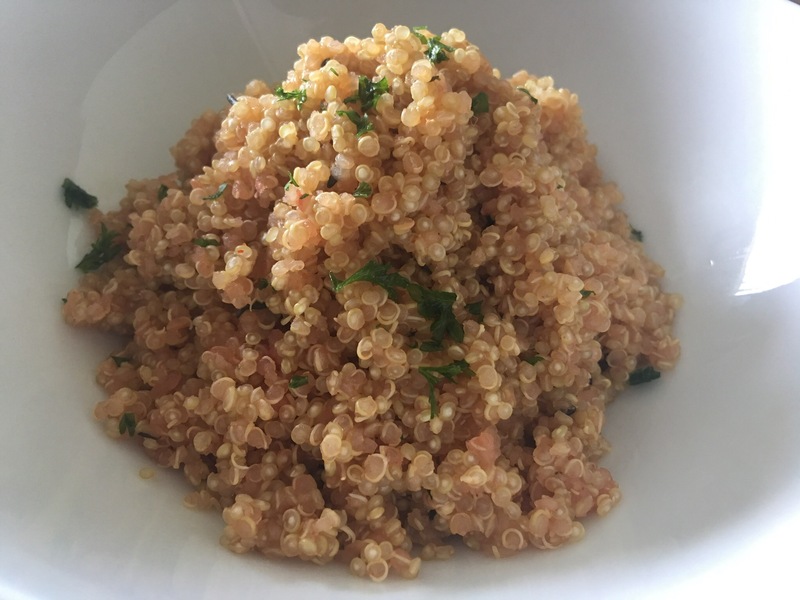 You can just mix the two together or sauté some onions that are diced very small, then add the quinoa and cook for a minute. Then add stock of your choice, I used 1 cup to 1/2 cup of quinoa. This is enough for 4 people, unless you have vegetarians/vegans who are not eating meat. 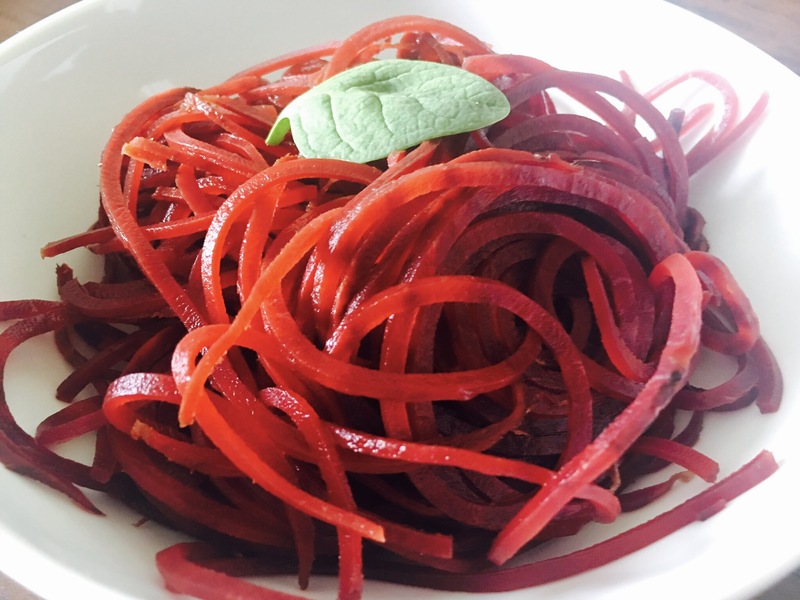 I happened upon spiralized beets in the grocery store, I did boil them to soften a little then you can toss with a little balsamic vinegar and ground hot chili pepper to taste. Then I plated it, but you can also serve it family style too. Or you can cut the chicken beforehand. I served a salad first, and she brought dessert. So that was a three course meal in 1.5 hours. Previous Post Arugula, quinoa, rainbow carrot, asparagus salad with homemade garlic lemon dressing.